I enjoyed Your Life Still Counts so much that I did not want it to end which is a pretty rare thing for me when it comes to non-fiction books. 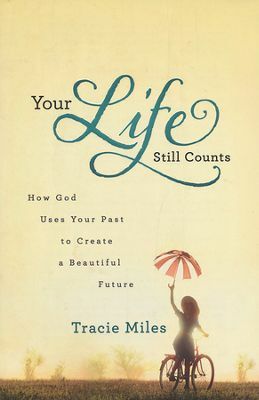 Tracie Miles writes in sincere transparency focusing on God’s transforming conviction and encouragement. I absolutely loved this book because it wasn’t written with Pollyanna fluff. Rather, Your Life Still Counts is written in such a way that it promotes self-reflection and the challenge to look beyond the veil of the past. Tracie tells her own story of the sorrow of abortion. After years of denial of her past, she is drawn by God’s love to reveal her story in an effort to help other women. She goes beyond her own story and includes stories from many other women that are relevant to each chapter. Each chapter also includes thought provoking study questions making this book a great resource for individual or group bible study. One of my favorite quotes from the book states, “Our human minds can’t comprehend God’s timing because He is God and we are not! But we can rest assured, no matter what promise He has made, it will be met in His appointed time, not ours. Even if in our opinion He is waiting too long to answer our prayers or intervene in our situations, it may be immediate in His realm of sovereignty.” (pg. 43) Tracie reminds the reader that it is never too late to be obedient to God’s calling. She reinforces the truths of Romans 8:28 New Living Translation (NLT): And we know that God causes everything to work together for the good of those who love God and are called according to his purpose for them. I received this book from Bethany House Publishers in exchange for my honest opinion which I’ve provided here.